Wikipedia has banned all contributions from IP addresses owned by the Church of Scientology. Wikipedia's "Arbitration Committee" (otherwise known as the ArbCom!) voted unanimously in favour of the ban on the controversial church. The Register reports that, "according to multiple administrators... the muzzling of Scientology IPs marks the first time Wikipedia has officially barred edits from such a high-profile organization for allegedly pushing its own agenda on the site." "Use of the encyclopedia to advance personal agendas – such as advocacy or propaganda and philosophical, ideological or religious dispute – or to publish or promote original research is prohibited," according to Wikipedia. 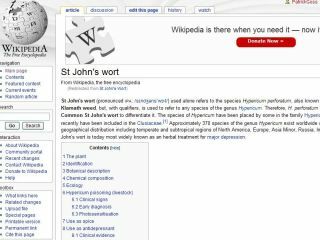 Wikipedia's concern is that the editing of Scientology articles by members of the church is "damaging Wikipedia's reputation for neutrality." Scientology's shadily-named "Office of Special Affairs" has, according to one ex member of the church "organized massive efforts to remove Scientology-related materials and criticism from the web."